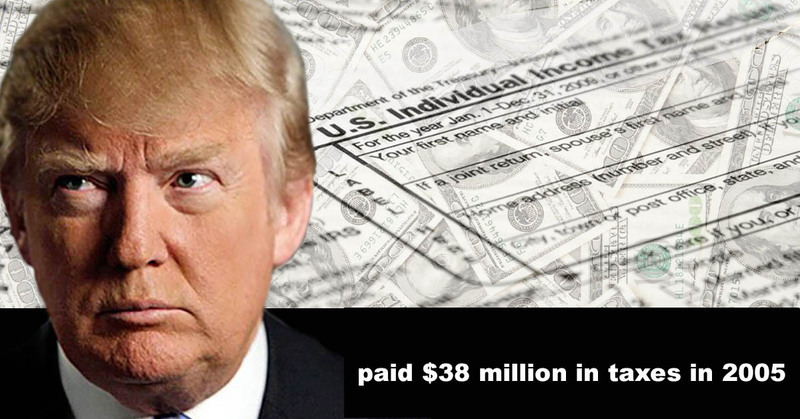 CNN reports that Donald Trump has released how much he paid in 2005 in income tax. confirmed by the White House. The White House published its statement just before material from Trump’s 2005 tax return was disclosed. This is based in information obtained by the first two pages of Donald Trump’s 2005 tax return. Trump, himself, weighed in on the matter Wednesday morning, tweeting, “Does anybody really believe that a reporter, who nobody ever heard of, ‘went to his mailbox’ and found my tax returns? @NBCNews FAKE NEWS!” This does mean, is that the public only has a partial picture of Trump’s 2005 taxes. The Even though the revealed pages from his 2005 return do not go into specific details, they do seem to disprove the theory that some Democrats wanted to push that Trump avoided paying any federal income taxes during that period. Or email send Joe a message. *We guarantee that you will not find anyone with more unique IRS resolution solutions that could save you money and prevent collection action.